Is a sense of detachment a good thing or a bad thing in Friendships? Along this journey of friendship and self discovery, I have noticed a new pattern creeping into my friendships that I wanted to explore. 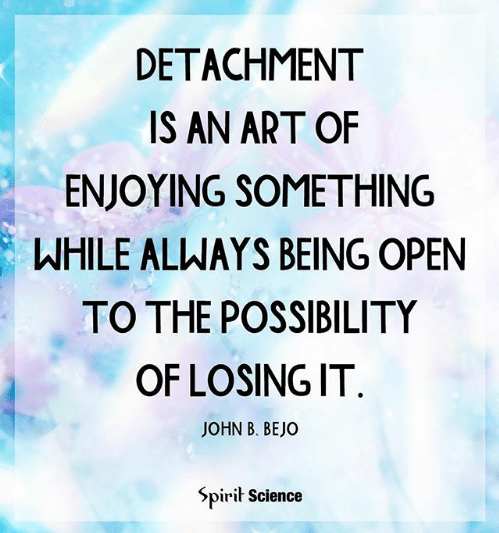 I now seem to go into most of my friendships with a sense of detachment. Whereas I used to get excited to hear from new friends, or even older but closer friends, I now live my life in such a way that I don’t expect to hear from them and don’t much care if I do. That sounds like I am saying I don’t like hearing from my friends, which isn’t quite true. Of course I love hearing from them. I still enjoy the feeling after a new friend calls to talk about something personal, and I realise she thinks of me as a close enough friend to discuss such things and someone to count on. What’s not to love about that? Still I notice I take these things as they come. Just because she considered me a friend today does not lead me to assume she will feel the same way tomorrow, and I also no longer assume because she likes me that we are “friends.” I have now also learned to consider if I like her or not. That hasn’t always been as simple and straight forward as it sounds. Plenty of times I can identify when an overbearing boundary crossing person has entered my life and claimed friendship, regardless of if I wanted to be her friend or not. And usually I didn’t question it. If someone liked me, we became friends. I remain open to these people, and all the other new friends that could potentially blossom into my life at any time, but I am also weary. I feel I am much more closed off emotionally than I used to be. I don’t disclose much about my inner self for quite some time, and am very aware early on when I don’t think someone has what it takes to be there for me in the ways I need. My therapist (who drives the BMW!! I've mentioned this, yes?! Lol) tells me that this is great for me. It is healthy to practice letting people in, and choosing who those people are. Practicing safe boundaries and all that. I see she has a point and I feel great that I am able to let friendships take their natural course and not try and force every person I become friends with to be the friend I need, letting them be the type of friend that they ARE! I used to have, and still sometimes do struggle, with having very rigid beliefs about what a friend should be, what they should disclose, what they should ask, how often they should be in touch, how quickly they should respond, and even at times, how they should respond. I still have my preferences about all of these things, as I imagine we all do. Yet we can all probably acknowledge that the answers will vary for us individually. Which is why in essence there is NO RIGHT answers to these things. However, when I hold these expectations of what a friends should do, I am usually basing that expectation around what I would do for them. I am a friend to enough people, that I feel overall, I am a pretty good friend. Even if that is only true while it lasts.... So I feel justified that I know how to be a good friend. Ironically the person I know how to be the best friend for is myself, and usually I am not all that friendly to myself. Also a work in progress. Haha But basing my ideals off friendship based on how I act is flawed logic. How I act is representative of how I want other people to act towards me. But as I just discussed – I am not friends with myself. (Yes, I should be!) I am friends with other people. So the best way to be friends with them, is usually their way! What many of us fail to see, is that our friends are not just our friends. They are people. They have full lives, pasts, experiences, triggers, emotional needs and wants of their own. They also have other relationships, responsibilities and circumstances to ours, dictating their time, priorities and values differently. Basically, they are different to us! D'uh! What we may do in an effort to make someone happy may actually make them unhappy, and vice versa. Take my friend with the crippling anxiety for example. She worries constantly that her messages will be intrusive and bothersome. It worries her if she wants to contact me at school pick up time or dinner time. She is usually so reluctant that she will wait for me to reach out to her. But I like hearing from my friends. Sure, I am not free to chat for half an hour at dinner time, but a quick text, I can handle. I do reach out to her, but usually not as frequently or as quickly as she would prefer, and I find it silly that no matter how much reassurance I give her that it is fine to message me any time, she still tries not to. When I message her, I do it whenever suits me and honestly, whenever I remember. I know she works shifts, so she may be asleep or at work, but I know she will get back to me when she has time. Perhaps she finds this intrusive and would prefer I messaged only at certain times. See how easily these perceptions of what a friend should do can be different enough to cause problems? I didn’t always, but I now respect that my friends are people! Sounds absurd, doesn't it. Perhaps I used to think of them as characters, co stars in my own movie kind of deal?! (I know right! Narcissistic much?!) I now acknowledge the my friends have lives - outside of and separate to my own and when I make contact they might not have the time or energy to respond. They might forget to respond. Their lives don’t revolve around me\?! Shock horror! Lol They may forget to check in after an accident, illness or issue we have discussed. I used to interpret this to mean that they don’t care, but it’s just that they are busy. Honestly. I am not in the forefront of their mind. Nor should I be. I get that now. Whereas I do try to make extra effort to do that for others, to follow up and follow through, others often think if I want to speak about it again, I will touch base again myself. I used to think that was wrong, but I see now there is no right and wrong, just different. All that sounds pretty positive, and for me, it really has been. In both setting boundaries for others and recognizing and respecting theirs – as people not just as "my" friends. 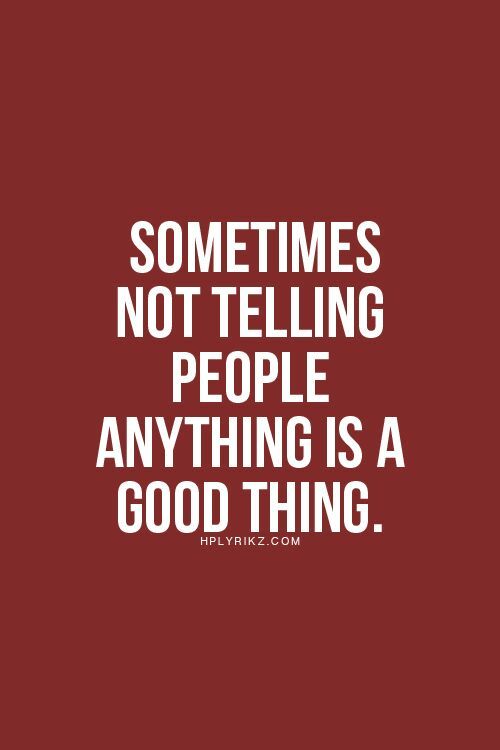 So has being able to sometimes separate the issue and realise that they are not bad or intentionally hurtful people even if they aren’t particularly good friends. I can acknowledge that “good friends” is subjective and personal. Perhaps they are great friends to other people with different needs and expectations. The most helpful thing has been separating that sometimes someone lets you down once or twice, but that doesn’t make them a bad friend period, just perhaps not in the best place in their life at that moment to be a good friend, or offer the type of friendship that best meets my needs. What hasn’t been as positive is the emotional isolation that I had started to feel. This was mostly because of my niggling expectation that friends are people and people DO AND WILL let you down. Friendships do end and this is normal. I can accept that. However I must be aware that just because friendships do fail, doesn’t mean that they WILL all inevitably fail. After feeling some rifts in some pretty close friendships, I noticed that I could acknowledge, albeit with some sadness, that these friendships were probably going to end. I came to peace with that as though I have accepted that is always what will transpire. I became closed off, and stopped reaching out to these friends, who always seem too busy to be there for me in any real way. Our catch ups started to feel more hollow, because too much time had passed in between and so much had happened and I had gotten through it on my own that I thought I didn’t need to open up too much now anyway. Recently I caught up with one of these friends, after far too long had passed, and she shared something with me that did not fit with my theory that we were ending. In return I shared something with her. This beautiful and meaningful exchange continued on into the wee hours of the morning, the way it always used to, and I noticed how energized I felt even at 3am as I left. Because I had shared some things, I had been vulnerable to her, as she had with me. Because I realised I do need friendships even though I can get through things on my own. My friends get through things on their own too, but we choose to support each other as much and as often as we can! Harder than it sounds, but also more rewarding! I concluded that while a certain amount of detachment is good, too much will only isolate me and ensure that the friendships do end. Which isn’t what I ultimately want, although I know it does happen. I want to make sure I am doing what I can to make my friendships healthy and lasting, and that means being vulnerable even when it feels uncertain. Ultimately you will only get as much out of a friendship as you put in. Sometimes that means putting in less because less is all you will get in return, but sometimes it means putting in more. It’ll be worth the effort. I promise. To that special friend, and you know who you are, there is an extremely long message coming your way about all sorts of things I’d love to share with you. I’ll send it on Monday, when I know it is more convenient for you. Anyways, who knows what the weekend might add to it by then. Better yet, let's catch up and talk in person. Tuesday? :D I vow to put more effort into our friendship again, even at the risk of it ending, in the hope that it isn't! Newer PostThe friendship life cycle - circle of 5!